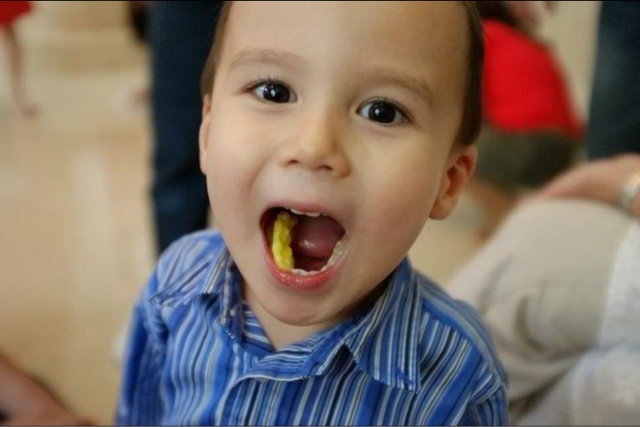 Across 2 Cultures - Cross-Culture Parenting and Lifestyle Blog: Chinese New Year! 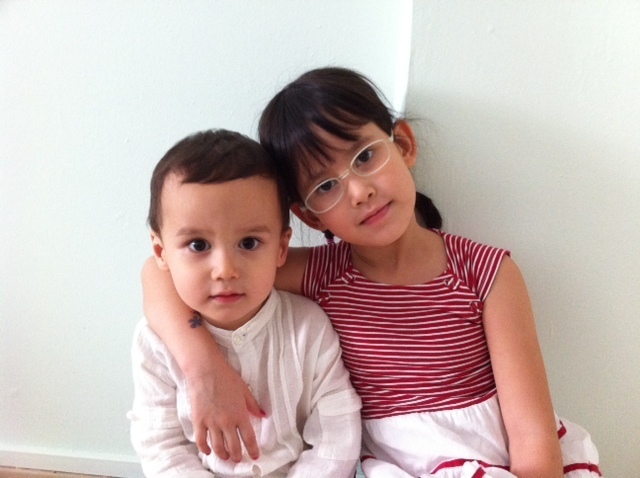 This is the second year that we are spending CNY in Singapore! I can hardly believe that we have been back for two years. Chinese new year is one of my favorite Chinese festivities are it is culturally rich and there are so many different traditions and customs for the children to experience. From traditional Chinese new year goodies like bak kwa, love letters (egg rolls), pineapple tarts etc to yusheng and lion dance, the children's senses are all highly enlightened! Laetitia and Loic are obviously soaking in all the fun stuff while being immersed in one of their ethnical roots. I have to say I am glad that the two of them are spending some foundation years here where they can experience what being a Singaporean Chinese means. 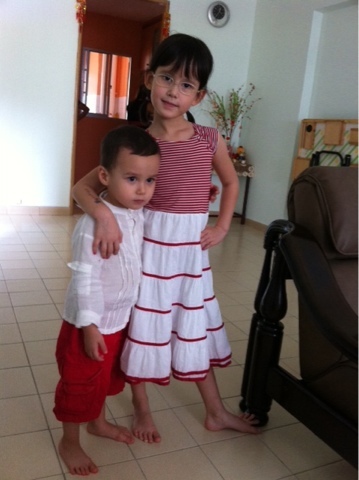 Here's the kiddies on The first day of CNY at my mum's. 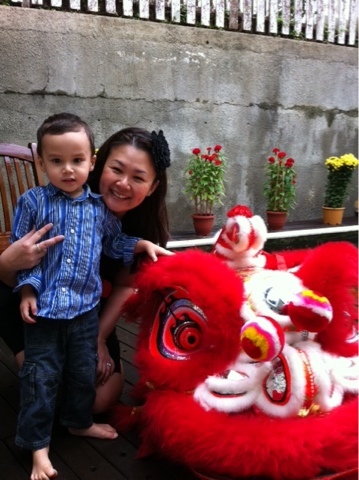 And on the second day at my cousin's where we had a lion dance performance.